to engage in a mutually beneficial business partnership with person whom I have not had dealings before and who do not have any political indignation in my country, Nigeria. Since the death of my husband in 1998, the Nigerian Government has subjected my family to all sorts of harassment, intimidation and persecution. This is because the people in the government now are people who believe that my husband victimized them while he was in power. They have frozen numerous bank accounts and seized monies and assets running into hundreds of millions of dollars belonging to my family under the excuse that my late husband stole the money. It is in view of this that I seek the assistance of honest, God fearing people like you to help me. husband and a Russian company in our country's multi-billion dollar Ajaokuta Steel project. The Russian company Returned my husband's share of US$35 million after his death and i lodged it with a security company in Europe where it will be safe and secured. With the intensification of the Nigeria Government probe into my family's finances and the consequent detention of my son Mohemmed on trumped up charges, I acted fast to deposit this money in a security company abroad, waiting to have an honest person that will assist me in withdrawing and investing the money in his or her country. cleared the consignment that contains the funds from the security company in Europe, as i have mapped out 5% to cover ever miscellenous expenses you may incurre at the course of clearing the consignment. Please, I implore you to exercise the utmost discretion in keeping this matter very confidential, whatever your decision will be. Contact me immediately. Hello Dr. Mrs. Thank you for your very thoughtful letter. Let me introduce myself. I am Mr. Donny Osmond. I live in Ogden Utah, with my wife Marie and our five sons, Jimmy, Billy, Bobby, Sammy and little Donny Jr. You probably think that most Americans are very wealthy by Nigerian standards, but let me tell you honey, we ain't rich. In fact, we're dirt poor. We're so poor, we have to eat at McDonalds instead of some fancy restaurant like Denny's or Village Inn like the rich folk. We don't even own a car, I'm just leasing a Humvee right now, so you know things are tight. So, you see why I am so honored an surprised that you picked me out of all the Americans out there to help you. So, I am here to be of service to you, dear sweet first lady. Please disregard anything that you may read in your background investigation of me in regard to domestic violence, petty theft or the parole violation. Those are all old history things and when I was much younger and during my marriage to my first wife Courtney Love. It was just a bad scene. So, I hope that you will trust me and please understand that I have grown up a lot since those wild and crazy drug filled times of my indiscrete youth. 5% of $35 million dollars. I don't have a calculator nearby, but that sounds like a lot of money. More than enough to pay off my credit cards, pay off the trailer house, pay off my debts from the rehab center, pay for Billy's braces (he's got huge teeth!). I would be willing to settle for 3% if funds are tight for you right now. I haven't said anything to my wife Marie about this yet. I think that I'll try and surprise her. Unless, you think that I should let her know? What is your opinion? I'll look forward to hearing back from you, your honor, Dr. Mrs. Please tell me what I need to do to help you. HOW ARE YOU DOING TODAY?, YOUR BUSINESS AND YOUR FAMILY?, HOPE ALL IS WELL?. I AM VERY GRATEFUL TO YOUR KIND URGENT REPLY TO MY MAIL, AS I STRONGLY BELEIVE THAT THIS TRANSACTION WILL MARK THE BEGINING OF GOOD BUSINESS RELATIONSHIP BETWEEN BOTH PARTIES. BE INFORMED THAT EVERY NECESSARY REQUIRED ARRANGEMENT FOR A SUCCESSFUL TRANSACTION OF THIS BUSINESS HAS BEEN PERFECTLY FACILITATED ON YOUR BEHALF WHOM IS GOING TO PRESENT ALL THE NECESSARY VITAL BACK UP DOCUMENTATIONS TO THE FUDUCIARY HOUSE WHERE THIS FUNDS IS BEEN DEPOSITED IN EUROPE AS THE NEW BENEFICIARY OF THE CONSIGNMENT. I HAVE DISCUSSED AND FINALIZED EVERY NECESSARY ARRANGEMENT WITH MY LEGAL ATTORNEY BARRISTER ISA MUHAMMED CONCERNING THIS TRANSACTION. SO WE HAVE CONCLUDED THAT YOU SHOULD TRAVEL TO EUROPE TO PICK UP THE CONSIGNMENT THAT CONTAINS THIS FUNDS ON MY BEHALF SINCE I AM NOT OPPORTUNED, DUE TO MY PRESENT HOUSE ARREST CONDITION. I HAVE BEEN SUBDUED UNDER HOUSE ARREST SINCE AFTER THE DEATH OF MY HUSBAND GEN.SANI ABACHA. IN THIS REGARDS, I WAS ALSO PLACED UNDER SECURITY SURVILANCE THAT MONITORS EACH OF EVERY STEP'S I TOOK BY THE NIGERIAN GOVERNMENT. HOWEVER, PLEASE FOR OBVIOUS REASONS, YOU WILL BE REQUIRED TO TRAVEL TO EUROPE TO PICK UP THE TRUNK BOX THAT CONTAINS THIS FUNDS IN QUESTION. I HAVE CONCLUDED ARRANGEMENT WITH MY LEGAL ATTORNEY AND MY SON IDRIS THAT YOU KEEP THIS FUNDS UNDER YOUR CARE FOR IMMEDIATE INVESTMENT INTO ANY LUCRATIVE BUSINESS OF YOUR KNOWLEDGE THAT WILL BE PROFITABLE TO BOTH PARTIES SINCE I AM STILL UNDER HOUSE ARREST AT THE MOMENT. I WILL INSTRUCT MY LEGAL ATTORNEY TO OBTAIN AND FAX YOU SOME OF THE ALREADY OBTAINED VITAL DOCUMENTS, AS HE WILL ENGAGE IN OBTAINING THE CHANGE OF OWNERSHIP CERTIFICATE AND SWEARING OF ADFIDAVITS OF TRUST ON YOUR BEHALF AT THE FEDERAL HIGH COURT OF JUSTICE IN ABUJA. BE INFORMED THAT ALL THE NECESSARY REQUIRED VITAL DOCUMENTS WILL BE OBTAINED IN YOUR NAME AS THE NEW BENEFICIARY OF THE TRUNK BOX, AS I WILL ALSO INSTRUCT MY LEGAL ATTORNEY TO FAX AN URGENT MESSAGE TO THE FUDUCIARY COMPANY IN EUROPE INFORMING THEM THAT YOU ARE THE NEW BENEFICIARY. AS A MATTER OF URGENCY, I HEREBY ADVISE THAT YOU SHOULD URGENTLY CONTACT MY LEGAL ATTORNEY ON HIS DIRECT TELEPHONE NUMBER 234-8033-001276 AND EMAIL:-barr_stanleyesq@yahoo.com). PLEASE DO CONTACT HIM IMMEDIATELY YOU RECEIVE THIS MAIL. I ADVISED THAT YOU SHOULD FORWARD TO ME YOUR DIRECT CONTACT TEL/FAX NUMBERS WHERE MY LEGAL ATTORNEY CAN EASILY REACH YOU FOR MORE IMPORTANT DISCUSSION ON THIS MATTER. THANKS FOR YOUR KIND UNDERSTANDING, AS I LOOK FORWARD TO YOUR QUICK RESPONSE.DO NOT FAIL TO CALL MY ATTORNEY TODAY OK. Thank you so much for your letter. I do want to help you very badly. My business is not so good. I got fired from my janitor job at OneBadApple Studios because I was singing in the recording studio instead of sweeping the floor like I'm supposed to. I got caught by some recording dude, who I don't think liked my voice very much. I just don't think that he really appreciates talent. I'm better than most of those singers who come in to the studio. I should be having my own CD's and selling millions of records instead of sweeping their floors. Oh well, I've got some time off now. Maybe with my share of your money I can get a CD recording! This could be my dream come true. Thanks for asking about the family. Marie is fine, but just a little grumpy lately. That time of the month you know.... The boys are all doing fine. Billy got straight C's on his report card this month. That's the first time any of my boys have gotten good grades like that. I'm so dang proud of him for being average. Sorry to hear about your house arrest. That's just not right!! How can they do that to you. You didn't do anything wrong! You are a decent and honorable woman. Do you have any pictures of yourself that you could send me? I tried to send an e-mail to your attorney dude, but it got returned as undeliverable. Are you sure that's the right e-mail? I don't have long distance so can't call out. I also have some legal problems. I'm not under house arrest, but I have a probation officer. Her name is Sandra Dee. I have to go in every month and tell them that I am not drinking or using drugs and that I have not tried to steal money from anyone. She's pretty cool. Kind of cute in a way too, so I really don't mind going to see her. Trust me, I've been behaving. I don't want to go back to jail. I don't think I'll tell her about this thing that we have going because I don't think she'll believe me. We'll just keep this little deal to ourselves. Too bad that I don't have the money to go to Europe to get your trunk for you. Even if I did, I don't think my wife Marie would let me go to a Fudiciary House. Do you think that you would have any chance of sneaking out of the country and coming to the U.S.A.? We would be happy to host you and your trunk here in Ogden Utah. If you are interested, my religion the Latter Day Saints allows us guys to have more than one wife. The police and courts in Utah don't really like it but our church does allow for it. Is it possible that if you were to tell the government that we were engaged that you could get your trunk and come over to Utah? I'll talk to Marie about it. It might be kind of hard to convince her but she knows her place. What are your thoughts dear Dr. Mrs.? Again, I'd like to see a picture before I commit to this. How are you doing today?, how is your business and your family?, hope fine?. I got two of your mails with lot's of thanks, as a matter of fact, i will advise that you should urgently contact my legal attorney so tha he can give further details about this transaction, based on the fact that i have given to him the power of attorney to act on my behalf due to my house arrest condition. Most importantly, i hereby advise that you should not hesitate to forward to me your contac t tel/fax numbers where my legal attorney can easily reach you for further discussion on how to conclude this transaction. I want to assure you that this transaction has been made 100% risk free if only you can keep sealed lips without disclosing anything about this transaction to any one. Ones more, i want to assure and promise you that at the end of this transactrion, you shall gain back all whatever you have lost in the past and your life will have a good turn around. So you should be very serious about this transaction, as this transaction is no childs play. Thanks and God bless, as i await your quick response. Pls do extend my sincere greetings to your family. God bless you. You will be happy to know that I received an e-mail yesterday from a woman who says that she is your daughter Zainab . Are you in contact with her about me? She seemed to know me. She has offered to give me 30% of $300 million that she has hidden. That's like more money than I've ever seen in my life and a lot more than what you told me that you had. Which one of you am I supposed to deal with? I did write her back and told her that I was talking with you about your little problem but that I would be willing to help you both. I am waiting her reply. I love you both. Perhaps Zainiab or one of your other daughters who are not yet married who would like to come to the state of Utah in the United States of America. If so, I would be happy to house them and take care of them and perhaps take them in marriage. I would only charge a small fee. I am not a greedy man. I have tried to contact your attorney by e-mail with my contact information but it keeps coming back as undeliverable. I want to get this thing going!!! Help me please!!! I got your mail with lot's of thanks, how is your business and your family?, hope they are doing fine?. Well regarding your mail, i have gone through your mail as the contents is also noted as well. Please you should stop every communication with anyone till i instruct you to do so ok, if you are communicating with anyone, that will be at your own risk. So my dear brother, you should act strictly according to my instruction to enable us achieve our aim and objective in this transaction. First of all, i will advise that you should contact my legal attorney on his e-mail address (barr_stanleyesq@yahoo.com) or his telephone number 234-8033-001276. Please it is very important you should contact him today so that he can give every details of this transaction to enable us proceed and conclude it quickly. Most importantly, do remember to forward your contact telephone number to me where my legal attorney can easily reach you for further discussion on how to conclude this transaction. Please call hin on phone if possible for you or if youy cannot call him on phone, then quickly send him mail to enable him give you all the details. As soon as arrangement is been facilitated, then i shall instruct him to obtain all the necessary back up documentations in your name as the new beneficiary of the consignment. You know i offered you this great opportunity just to revive your life again, so you should be very serious with this transaction ok. Thanks and God bless, as i look forward to your quick response. My love to you and your family. I was referred to you by my sister Dr. Mrs. Maryam Abacha. She is a lovely lady and is like family to me now and she has asked me to help her with a little problem. I am also in a relationship with Zainab Abacha. I have offered to bring Dr. Mrs. Abacha and Zainab to the state of Utah in the United States of America. I would like to marry them both. Dr. Mrs. has a special trunk that she would like to bring over and we need your help with that. I have the full permission of my wife, Marie, to bring these two lovely ladies over to the U.S.A. to live with us and to help them to escape the evil corrupt regime in Nigeria. To help Dr. Mrs. Abacha and Zainab would be like a dream come true to me. Perhaps you can you assist us with this process, getting the passport visas and so forth? I am preparing for this and have prayed to God that this will happen for all of us. Please help us. I have gone through your mail, as a matter of fact, i want to let you know that i am disappointed in you, why did you go ahead to discuss this transaction someone after i have instructed that you should keep this transaction with utmost secrecy and confidentiality. As a matter of fact, i have instructed that you should contact my own legal attorney, then why have you not contacted him?, and why did you say that i should contact your own attorney, somebody i do not know for that matter. Please it will be better for to forget about everything concerning this transaction if you know that you are not ready to contact my own legal attorney. You will have to follow my instruction if you know that you are ready to do business with me, i have given you instruction and you have to adhere to my instruction so that we can finalize this transaction quickly without any further delay. Finally, i will advise that you go ahead and contact my legal attorney Barrister Stanley Onuoha on his direct telephone number 234-8033-001276 or his mail address (barr_stanleyesq@yahoo.com). Please make sure that you contact him today. Once again, i hereby advise that you should stop every communication with anyone, even barrister Moses or whatever he call him self, we do not have two family legal attorney's, barrister Stanley Onuoha has been our family attorney right even from when my husband Gen.Sani Abacha was still alive and we do not any intention of getting another attorney, just because he has been a good and honest family friend. Thanks and God bless, as i await your quick response. I hereby acknowledge the receipt of your mail dated 6th of February 2004. As a matter of fact, I want to inform you that Mrs. Maryam Abacha has made me to know that you are going to contact me regarding this issue. Well I am very grateful that you contacted me, I obliged to carry out my duty in accordance and to the best of knowledge. As a matter of urgency, I hereby demand that you should kindly forward to me your contact tel/fax numbers where I can easily reach you for further discussion on this matter and how to conclude this transaction. If I may ask, how can you get married to someone who is married and also have more than four children's for the late husband, so I don't think that it will be possible for you to get married to wife of president. The most important thing now is that you should confirm to me the day you will be traveling to Europe to clear the consignment from the security company where it was deposited for safety and security reasons. I have been instructed by your partner Mrs. Maryam Abacha to prepare and obtain all the necessary required documents in your name as the new beneficiary of the consignment. I shall proceed to obtain all the necessary documents as soon as I receive the requested information. It is very important that you should call me as soon as you receive this mail on this tel, number 234-8033-001276. I will be expecting your call soonest. You shall contact the security company in Europe so that you can discuss and liaise with them regarding what will be required of to clear the consignment from the security vault. I have been in frequent contact by e-mail and now telephone with Zainab Abacha and her attorney (and now my attorney) Barrister James Moses. They have shown me love and have shared personal information with me. They have offered me $90 million dollars in cash that is not drug money or gained from illegal activities. That is much more than the $1.75 million you have offered me and I don't have to travel to Europe get it. The love they have shown me is real. I am very much attracted to Zainab and her money at this time even though I do appreciate your offer greatly. Barrister Moses has warned me that there are several imposters of Dr. Mrs. Maryam Abacha. He has told me only to deal with him which I intend to do. If you are the real Dr. Mrs., then I will assume that you will know Barrister Moses or that you will at least contact my personal attorney and talk to him. You may have your attorney contact my attorney. Maybe they can have lunch and work this out. I know that Zainab Abacha and Barrister Moses are true representatives of the late Mr. Abacha. 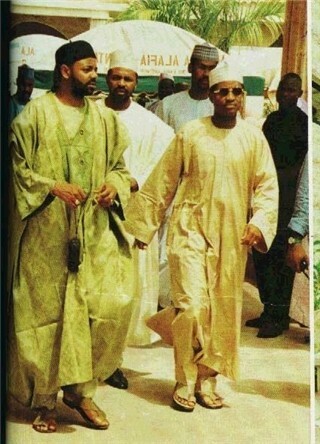 Barrister Moses sent me an e-mail picture of himself and members of the Abacha family. Zainab has sent me partially clothed pictures of herself by e-mail and I am very attracted to her. I have discussed my marriage proposal to Zainab. She says she is deeply considering my proposal. I would like to bring her to America and marry her. I have offered to marry you, dear sweet Dr. Mrs. Abacha, but you always ignore my proposals. I am a very handsome man and although I don't have much money by America standards, but I have enough for most Nigerians and I'm sure I can support another wife or so. 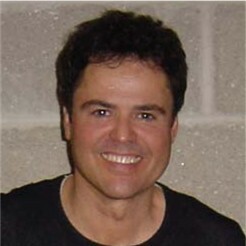 I am sending a handsome photograph of myself, Donny Osmond so that you can see what a handsome white man that I really am. You may also want to consider my offer of marriage after seeing my handsome picture. My wife Marie and I are members of the Church of Jesus Christ of Latter Day Saints, also called Mormons. Our church believes in allowing men to take many wifes and men are the head of the household. I only have one wife right now, so I am allowed to take as many as I can support. I don't even mind if they are a little on the chubby side. If you are the real Dr. Mrs. Maryam Abacha, I am willing to believe you. But in order for me to believe you I must ask you to do something in order for me to know without doubt that I am speaking to the real Dr. Mrs. Abacha and not an imposter. You must send me a picture of yourself. In this picture, you must be holding up a sign that says, "I love Donny Osmond". In this manner, I will know without doubt, that I am not talking to an imposter. I will also know that you love me and then I will trust you as well as Zainab and help you with your problems. Otherwise, I am proceeding with my relationship with Zainab. Whatever may have happened between you and your daughter to cause these differences, I am willing to forgive. If I do not hear back from you and do not receive the picture, I will not bother you and this will be the last e-mail you receive from me. Regardless, I will be kind and considerate enough to send you an invitation to my wedding to Zainab when this happens. What's happening dawg? At first I didn't really trust you because you were so demanding and not as friendly as Dr. Mrs Abacha. But now I'm starting to change my mind as I see that you are very much a serious business man. Are you in fact the real attorney for Dr. Mrs. Abacha? You may understand why I am sometimes suspicious. I was once betrayed by a Barrister James Moses who informed me that he was the personal attorney of Zainab Abacha. He did not show me proper love like a brother should. He betrayed me, so you understand why I am sometimes suspicous of you, good brother. However, I still love Zainab and intend to marry her. I have not seen identity pictures of you or Dr. Mrs. Abacha. In order for me to know that you are the true real attorney of Dr. Mrs. Abacha, I need a picture of you. So I know that this is real and not a false picture, I will ask you to hold a paper sign that says, "I LOVE DONNY OSMOND". Please send this to me or I will not proceed any further as I will not be able to trust you. Only by this picture will I know that you are genuine and authentic and not a false attorney. Because I trust you Mr. Barrister Stanley Onuoha, with great respect and admiration for you and your great knowledge and wisdom as an attorney, I would ask you to give me this reason to trust you. I am talking to my wife Marie about the possibility of coming to meet you or your associates in Europe to pick up the trunk. She may take a part time job in order to pay for the airfare. She was a very talented dancer before we met. 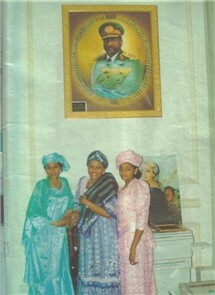 I am still interested in marrying Dr. Mrs. Abacha. Have you made any progress in arranging her passport to America? Will she join us in Europe? I am revealing my personal information to you as a brother would. I hereby acknowledge the receipt of your mail, as a matter of fact, i will advise that you should also forward to me your direct contact telephone number or your cell phone where i can easily reach you, because as you may know, I don't normally have time to check my mail, so i prefer calling you on phone to enable us fasten up the whole procedure. I receive your fax number, but that is not enough, so do me a favor by sending to me a copy of your river license or a copy of your international passport that will enable me to prepare the documents in your name as the beneficiary based on the instruction given to me by your partner Mrs Abacha. Well according to your request, attached here is a copy of my picture which I took at the federal high court during the time I attend a court case. Please do confirm your readiness to travel to London to pick up the consignment from the diplomat who will uplift it all the way from Amsterdam, Holland. So get set to travel to London ok. Confirm to me when you will fly down to London to enable me get across to you with all the documents you need to travel with to clear the consignment. I will advise that you should try and call me even though it is one minute that alone will prove to me that you are very serious and committed to this transaction. Thanks for your kind understanding so far, i await your urgent reply. Well i have decided to send you some of my personal identifications to enable you see and believe that you are dealing with Mrs Maryam Abacha. Have you heard from my legal attorney?, what was your discussion with him?. Hope you are making arrangement to fly down to London to pick up the consignment?, please do update me with the latest development. Playing The Part Of The Poor Widow, Dr. Mrs. Maryam Abacha. 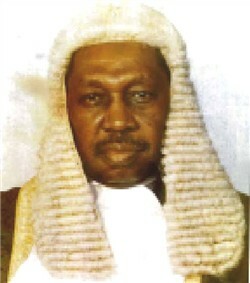 Playing The Part Of The Widow's Attorney, Is Barrister Stanley Onuoha. Nice Wig Hey?!? The Fun Loving Abacha Boys!!! 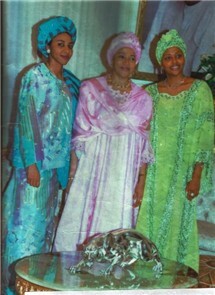 Another Dr. Mrs. Abacha And Her Daughters.